Thank you. 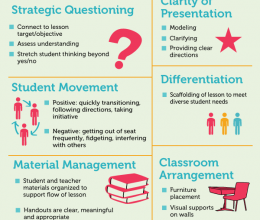 I always try to think of ways to make sure the meetings are beneficial for teachers. I really enjoy your blog. Thank you very much . I am planning a meeting soon and I found your blog very helpful and enjoyable. Great Hetty! I hope your meeting goes well! Would you be wiling to provide me with more information about how your teachers are implementing the Celebrations of Learning you mentioned in this post? Is this being done in certain subject areas and grade levels? In what ways and at what times are these celebrations being offered an audience? Thank you for all the great insight you provide in these posts. This was very helpful and meaningful. Thanks so much for this! I just love your blog, your advice is not only great but well organized. Your reminder about listening first is just what I needed. 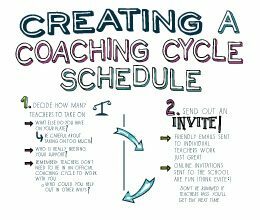 It is so refreshing to find great coaching information. I always look forward to your posts! Thanks Amy! I appreciate your comment, as yours and others keep me going with putting posts together! Thank you for your tips! Have you read “Meeting Wise” by Kathryn Boudett and Elizabeth City? It is an excellent resource. Hi Felice! Thanks so much for sharing this resource. I haven’t heard of that resource, but I’m going to check it out. Thanks! How often do your grade-level meetings occur, and who provides the coverage for the classroom teachers to be able to meet? That’s a real stumbling block I’m running into, so any insight would be great! Thanks so much for all of your support and ideas! Hi Kristin! Thanks so much for your comment and question. We hold monthly curriculum meetings with each grade level. These take place during their specials block, which they all have at the same time. Last year, they weren’t all at the same time so we provided one teacher with coverage, which was usually a para. Hope that helps!! These are some wonderful tips. Thank you for sharing! 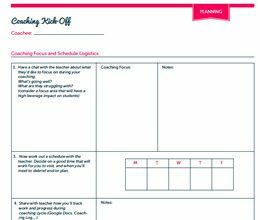 I just finally created a new blog post and gave you a shout-out in it for your Time & To Do planner that I LOVE! Excellent post! 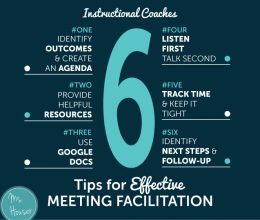 As a teacher, I sat through so many useless or wasteful meetings that, as an instructional coach, I try to make it a point to make meetings purposeful, focused, and productive. Thanks for these tips!